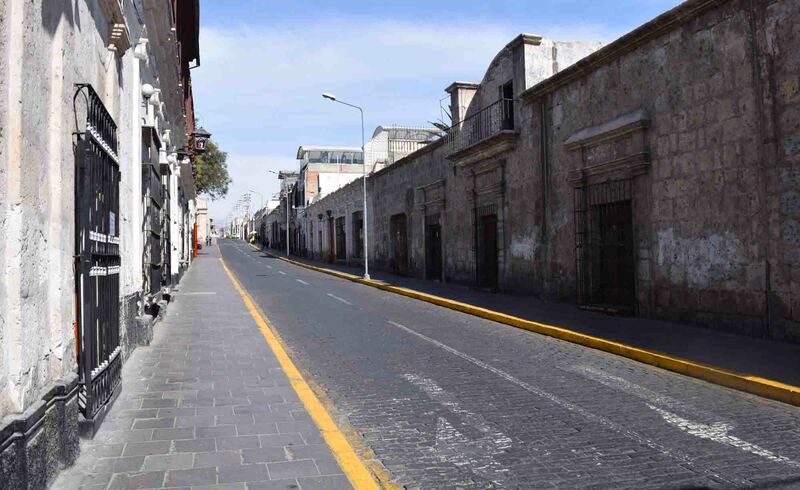 Arequipa is a large town (or is it a small city?) in the high Andes in Peru. It’s home to a famous mummy which can be seen at a local museum. It’s a pretty town, hilly, interesting. From here I went on a day trip to the Culco Canyon (not advisable, take longer if you can), and it was my stop between Lima and Cusco. There’s enough to keep you occupied for a couple of days, including a couple of historical houses, the aforementioned museum and a rather interesting convent, and if you like to relax and do very little longer still. 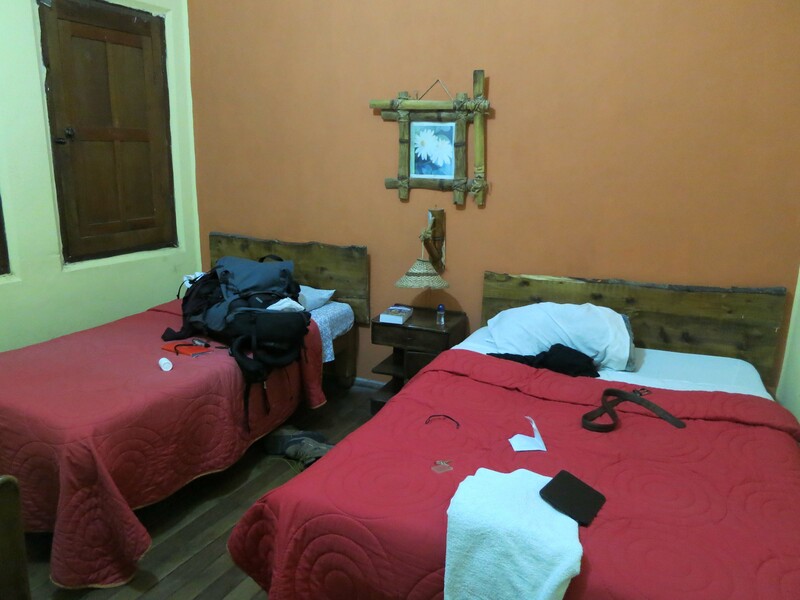 I stayed at one of the cheapest places I stayed all trip at just over $15US a night (50 soles in local currency), and that was for a room with a private bathroom (It was a double, it had a TV, a single and a double bed). 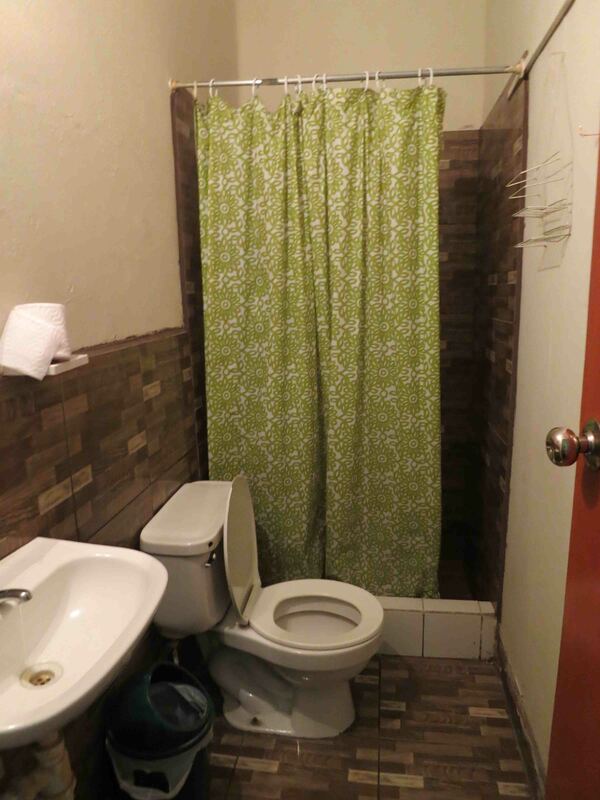 The singles with shared bathrooms were exactly half that at 25 soles. The road outside the guesthouse. 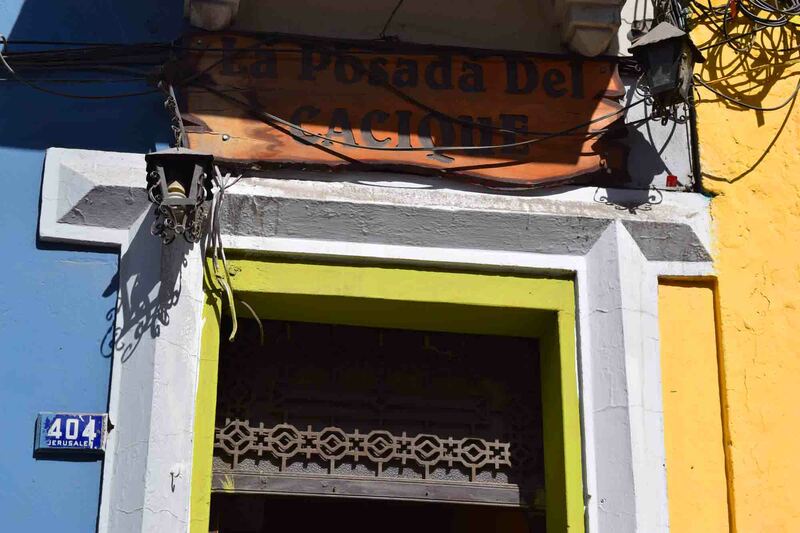 It was an interesting little place the Posada de Cacique. I walked up and down the street past it a couple of times with my bags without finding it although it did have a sign above the door. 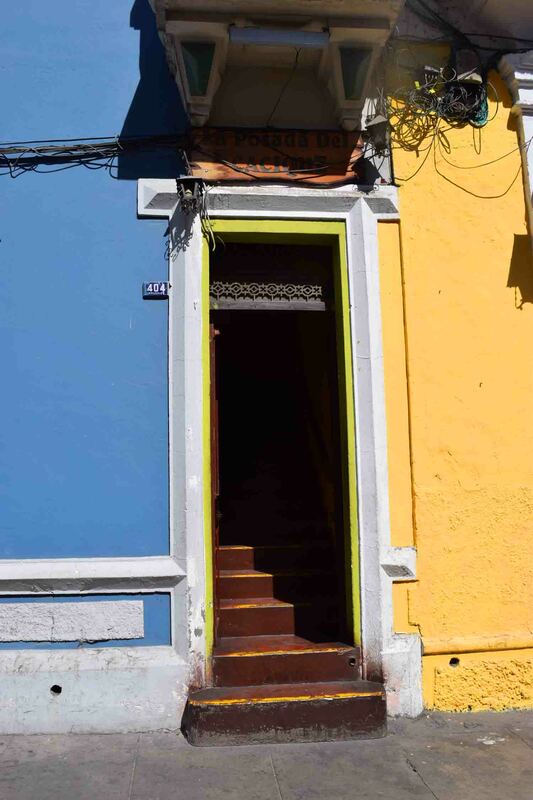 I finally worked it out and ascended a flight of stairs to get to the hostal. A nice little reception area with a lot of bags in it, couches, family and friends of the owners (mostly children) watching TV. It was in the very centre of the action, but everything was pretty walkable from it in a town that’s pretty walkable. I checked out both room options and went with the one with a bathroom. The bathroom was pretty basic but I remember the hot water being okay which is always the main concern with showers. 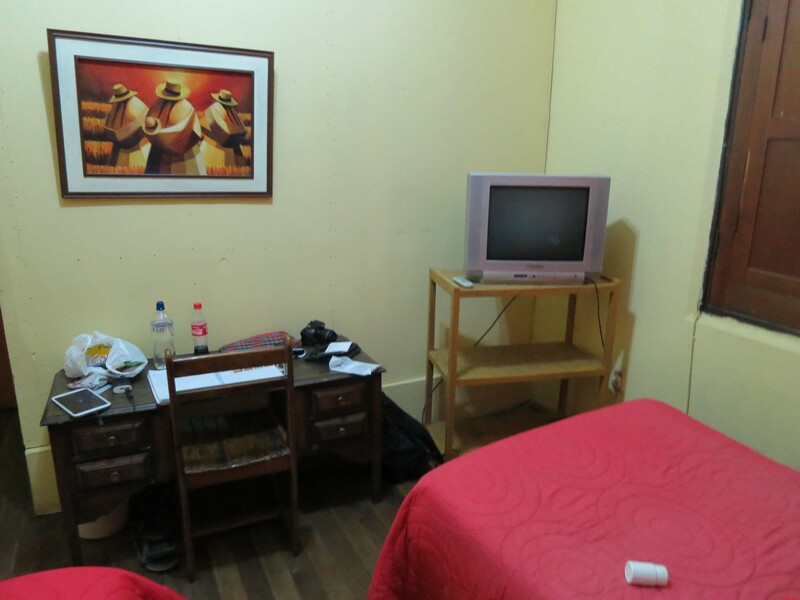 The room itself was also basic, with a decent bed though, floorboards, a window looking out to the rest of the hostal. There was a little table and wooden chair as well. There was wifi which was okay but you needed to be close to reception otherwise the signal disappeared. But for the price, all of the above was perfectly acceptable. They did washing there but it took an extra day and I was left worrying it wouldn’t be ready in time for my bus on my final day. I also took a tour as I said to Culco Canyon which was very cheap, and left at 3.30am in the morning. I did not enjoy that! The tour was fine but it really is 90% of a day on a bus. Don’t recommend a day tour. 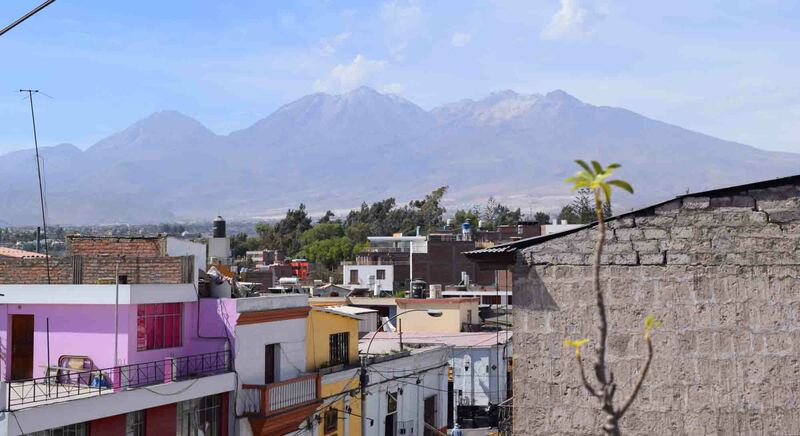 I do recommend getting up on the rooftop though because the view of Arequipa from there is pretty darned decent! Amazing view from the rooftop of Arequipa. Overall though, I think it was pretty decent value for money and I’d recommend it for the budget conscious traveller.